Compare URLs by parameters of well-known services: Ahrefs, Moz, Serpstat, Majestic, SEMrush, etc. Thousands of SEOs and webmasters all over the world use Netpeak Checker to perform everyday SEO tasks in the most efficient way. Try it free for 14 days! Status Code Text Part of the first line of HTTP response headers: contains status code number and description. If necessary, special status codes are added to this field after '&' symbol showing indexation instructions (disallowed, canonicalized, refresh redirected and noindex / nofollow). Response Time Number, ms Time (in milliseconds) taken to receive the first byte from a website server (thus called Time To First Byte, TTFB). Content Download Time Number, ms Time (in milliseconds) taken for a website server to return an HTML code of the page. Title Text Content of the <title> tag in <head> section of the target page. The first non-empty tag is considered. Title Length Number Number of characters (including spaces) in the <title> tag of the target page. The first non-empty tag is considered. Description Text Content of the <meta name="description" /> tag in <head> section of the target page. The first non-empty tag is considered. Description Length Number Number of characters (including spaces) in the <meta name="description" /> tag of the target page. The first non-empty tag is considered. Outgoing Links Number Number of links (both external and internal) from current page. Only AHREF links (regular ones) and IMG AHREF links (from images) without nofollow attribute are considered. Internal Links Number Number of links from current page to other pages of analyzed website. Only AHREF links (regular ones) and IMG AHREF links (from images) without nofollow attribute are considered. External Links Number Number of links from current page to other websites. Only AHREF links (regular ones) and IMG AHREF links (from images) without nofollow attribute are considered. Images Number Number of images found in <img> tags on the target page. Allowed in robots.txt TRUE or FALSE Accessibility of URL by robots.txt file if it exists. TRUE means that URL is allowed to be indexed. FALSE – disallowed in robots.txt file. Redirects Number Number of redirects from the current URL: can be useful for determining chains of redirects. Target Redirect URL Text Target URL of single redirect or redirect chain if it exists. Redirect Chain Text Indicates a series of redirects from the current URL to redirect target URL. Canonical URL Text Content of the canonical directives in HTTP response header or <link rel="canonical" /> tag in <head> section of the target page. Refresh Text Content of the refresh directive in HTTP response header or <meta http-equiv="refresh"> tag in <head> section of the target page. X-Robots-Tag Text Content of the 'X-Robots-Tag' field in HTTP response header. It contains indexation instructions and is equivalent to Meta Robots tag in <head> section. Meta Robots Text Content of the <meta name="robots" /> tag in <head> section of the target page. Hreflang: Number of Tags Number Indicates the number of <link> tags with hreflang attribute found on the target page. Hreflang Text Value of the hreflang attributes of <link> tag in the <head> section of the target page. H1 Value Text Content of the <h1> tag of the target page. The first non-empty tag is considered. H1 Length Number Number of characters (including spaces) in <h1> tag of the target page. The first non-empty tag is considered. H1 Headers Number Number of <h1> headings on the target URL. H2 Headers Number Number of <h2> headings on the target URL. H3 Headers Number Number of <h3> headings on the target URL. H4 Headers Number Number of <h4> headings on the target URL. H5 Headers Number Number of <h5> headings on the target URL. H6 Headers Number Number of <h6> headings on the target URL. HTML Size Number Number of characters in the <html> section of the target page including HTML tags. Content Size Number Number of characters (including spaces) in <body> section of the document excluding HTML tags. To put it simply, size of text on the page including spaces. Text/HTML Ratio Percentage Ratio of the text content ('Content Size' parameter) to entire content ('HTML Size' parameter) on the target. Characters Number Number of characters (excluding spaces) in <body> section of the target page excluding HTML tags. To put it simply, it's a size of text on the page excluding spaces. Words Number Number of words in the <body> section of the target page. Characters in <p> Number Number of characters (excluding spaces) in <p></p> tags in the <body> section of the target page. Words in <p> Number Number of words in <p></p> tags in the <body> section of the target page. Keywords Text Content of the <meta name="keywords" /> tag in <head> section of the target page. The first non-empty tag is considered. Keywords Length Number Number of characters (including spaces) in the <meta name="keywords" /> tag on the target page. The first non-empty tag is considered. Rel Next URL Text Content of the <link rel="next" /> tag in the <head> section of the target page. Rel Prev URL Text Content of the <link rel="prev" /> tag in the <head> section of the target page. Last-Modified Date and Time Content of the 'Last-Modified' field in HTTP response headers: indicates file last modification date and time. This value is displayed in your local time. Facebook: Number of Links Number Indicates the number of unique links to Facebook from the target page. Facebook: Links Text List of unique links to Facebook found on the website. Twitter: Number of Links Number Indicates the number of unique links to Twitter from the target page. Twitter: Links Text List of unique links to Twitter found on the target page. YouTube: Number of Links Number Indicates the number of unique links to YouTube from the target page. YouTube: Links Text List of unique links to YouTube found on the target page. Google Plus: Number of Links Number Indicates the number of unique links to Google Plus from the target page. Google Plus: Links Text List of unique links to Google Plus found on the target page. LinkedIn: Number of Links Number Indicates the number of unique links to LinkedIn from the target page. LinkedIn: Links Text List of unique links to LinkedIn found on the target page. Instagram: Number of Links Number Indicates the number of unique links to Instagram from the target page. Instagram: Links Text List of unique links to Instagram found on the target page. Pinterest: Number of Links Number Indicates the number of unique links to Pinterest from the target page. Pinterest: Links Text List of unique links to Pinterest found on the target page. Number of Emails Number Indicates the number of unique email addresses found on the target page. Emails Text List of unique email addresses found on the target page. Language Text Indicates language of the target page in ISO 639-1 format. Language detection algorithm is based on using n-grams and works more precisely with big texts. Visibility Number Relative score that indicates how often the domain is shown in search results for the keywords domain is ranking for according to Serpstat. The higher visibility of a domain is, the higher number of visitors it's likely to receive. SE Traffic Number Organic traffic per month from the chosen search engine according to Serpstat. Organic Keywords Number Number of keywords that domain ranks for in Google top 100 organic search results according to Serpstat. Ads Number Number of ads the target has in paid search results according to Serpstat. Keywords in PPC Number Number of keywords the domain bids on in paid search results (depending on the chosen search engine) according to Serpstat. Score that indicates how the page will rank on search engines according to Moz. Score that indicates how the website will be ranked by search engines according to Moz. Metric that indicates how likely a website is to be penalized by the search engines as a site that provides low value to searchers, as measured by the ratios of content to code, content to external links, external links to internal links and several other factors according to Moz. MozRank Number [0-10] Score (measured from 0 to 10) to indicate popularity of the target URL according to Moz. MozTrust Number [0-10] Score (measured from 0 to 10) to indicate trust of the target URL according to Moz. Number of links from the same C class subnet IP addresses to the target domain according to Moz. Root Domains Linking Number Number of root domains with any pages linking to the target URL according to Moz. Number of subdomains with any pages linking to the target URL according to Moz. External Equity-Passing Links Number Number of external links that pass link authority to the target URL according to Moz. Number of internal and external links that pass link authority to the target according to Moz. External Links Number Number of external links to the target URL, including nofollowed links according to Moz. Links Number Number of links (equity or nonequity; internal or external) to the target URL according to Moz. External MozRank Number [0-10] The MozRank fraction of the target URL derived solely from external links in the normalized 10-point score. Combined score (measured from 0 to 10) to indicate link popularity of all the pages on the target URL according to Moz. MozRank Raw Number Raw score to indicate popularity of the target URL according to Moz. MozTrust Raw Number Raw score to indicate trust of the target URL according to Moz. External MozRank Raw Number The MozRank fraction of the target URL derived solely from external links in the raw score. Combined raw score to indicate link popularity of all the pages on the target URL according to Moz. HTTP status code recorded by Mozscape for the target URL, if available. Сanonical form of the URL according to Moz. Subdomain of the target (e.g., blog.example.com) according to Moz. Root domain of the target (e.g., example.com) according to Moz. Title of the page (if available) according to Moz. Date and time on which Mozscape last crawled the target. Rank of the target host based on the size and quality of its backlink profile according to Ahrefs. The website with the strongest backlink profile is ranked #1. Rank of the target URL according to Ahrefs. Rank of the domain according to Ahrefs. Backlinks Number Number of external backlinks that link to the target URL according to Ahrefs. Referring Domains Number Number of domains containing at least one backlink to the target URL according to Ahrefs. Referring Pages Number Number of external web pages containing at least one backlink to the target URL according to Ahrefs. Referring IPs Number Number of distinct IP addresses under a single network that link to the target URL according to Ahrefs. Referring Subnets Number Number of referring class C networks that link to the target URL according to Ahrefs. Dofollow Backlinks Number Number of dofollow backlinks that link to the target URL according to Ahrefs. Nofollow Backlinks Number Number of nofollow backlinks that link to the target according to Ahrefs. Text Backlinks Number Number of backlinks to the target that use anchor texts according to Ahrefs. Image Backlinks Number Number of backlinks to the target URL that use image as an anchor according to Ahrefs. Redirects Number Number of redirects found that forward to the target URL according to Ahrefs. Canonical Backlinks Number Number of canonical backlinks that link to the target URL according to Ahrefs. Gov Backlinks Number Number of backlinks of all types (including images and nofollow) found on web pages on governmental domains that link to the target URL according to Ahrefs. Edu Backlinks Number Number of backlinks of all types (including images and nofollow) found on web pages on educational domains that link to the target URL according to Ahrefs. Pages Number Number of unique pages visited by the Ahrefs crawler on the target URL. Number of internal links from the target URL according to Ahrefs. Number of external links from the target URL according to Ahrefs. HTML Pages Number Number of HTML pages the target URL has according to Ahrefs. Linked Root Domains Number Number of internal or external domains that are linked from the target URL according to Ahrefs. HTTP status code that was last returned to the Ahrefs crawler. Number of internal links found on the crawled page according to Ahrefs. Number of external links found on the crawled page according to Ahrefs. Title of the crawled page according to Ahrefs. Size of the crawled page in bytes according to Ahrefs. Character encoding of the page (e.g. 'UTF8') according to Ahrefs. Type of encoding used to compress the page data (e.g. 'gzip' or 'deflate') according to Ahrefs. URL where the target redirects to according to Ahrefs. Most recent date when the Ahrefs crawler visited the target. One of the Majestic Flow Metrics calculated according to the number of clicks from a seed set of trusted sites to the target URL. One of the Majestic Flow Metrics calculated according to the number of websites linking to the target URL. Number of external backlinks to the target URL according to Majestic. Number of domains containing at least one link referring to the target URL according to Majestic. Number of IP addresses referring to the target URL according to Majestic. Number of subnets referring to the target URL according to Majestic. Number of f educational domains with exact .edu top-level domains (excluding any regional versions) referring to the target URL according to Majestic. Number of external backlinks found on web pages on educational domains that link to the target URL according to Majestic. Number of external backlinks found on web pages on educational domains with exact .edu top-level domains (excluding any regional versions) that link to the target according to Majestic. Number of governmental domains containing at least one link referring to the target URL according to Majestic. Number of external backlinks found on web pages on governmental domains that link to the target URL according to Majestic. Number of governmental domains with exact .gov/.mil top-level domains (excluding any regional versions) referring to the target URL according to Majestic. Number of external backlinks found on web pages on governmental domains with exact .gov/.mil top-level domains (excluding any regional versions) that link to the target URL according to Majestic. Number of external domains the target URL links out to according to Majestic. Number of external links the target URL links out to according to Majestic. Number of internal links the target URL links out to according to Majestic. Found – this item is present in index and can be analyzed. NotFound – this item is definitely not present in index yet. MayExist – indicates the URLs that have very few external backlinks, usually less than 20. Type of the target (root domain, subdomain, or URL) according to Majestic. Number of target's URLs present in Majestic index. Category for which the Trust Flow of the target host is the highest according to Majestic. Score between 0-100 showing the Trust Flow for the main category according to Majestic. Indicates whether the target URL has been crawled by Majestic. Most recent date when the page was crawled by Majestic. Result of the target last crawl by Majestic, usually self-explanatory phrase. Title of the target page according to Majestic. Indicates whether the target is returning redirect according to Majestic. URL where the target page redirects to according to Majestic. Indicates the result of crawling of the URL redirect target according to Majestic. Number of external backlinks pointing to all domains hosted on IP address of the target root domain according to Majestic. Number of referring domains pointing to all domains hosted on IP address of the target root domain according to Majestic. Number of domains hosted on IP address of the target root domain according to Majestic. Number of external backlinks pointing to all domains hosted on subnet of the target root domain according to Majestic. Number of referring domains pointing to all domains hosted on subnet of the target root domain according to Majestic. Number of domains hosted on subnet of the target root domain according to Majestic. Rank Number Domain position in domains ranking based on their organic search traffic value according to SEMrush. Organic Traffic Number Number of users expected to visit the website in the following month on condition that average monthly organic traffic stays relatively the same according to SEMrush. Organic Keywords Number Number of keywords bringing users to the website via Google's top 100 organic search results according to SEMrush. Organic Traffic Cost Number Estimated price of organic keywords according to SEMrush. Paid Search Traffic Number Number of users expected to visit the website in the following month on condition that average monthly paid traffic stays relatively the same according to SEMrush. Paid Search Keywords Number Number of keywords bringing users to the website via Google's paid search results according to SEMrush. Paid Search Traffic Cost Number Estimation on the domain’s Google AdWords budget (monthly estimation) according to SEMrush. Global Rank Number Global website rank according to Alexa. Local Rank Number Website rank in a certain country according to Alexa. Country Text Country for which local rank is displayed according to Alexa. Sites Linking In Number Number of websites referring to this domain according to Alexa. Number of website pages indexed by Google. Retrieved by making [site:hostname] search query to Google. Indexation TRUE or FALSE Indicates whether the target URL is indexed by Google. Merge TRUE or FALSE Indicates whether the target URL is merged with another URL according to Google. Cache TRUE or FALSE Indicates whether the target URL is cached by Google. Title of the target displayed in Google SERP. Description of the target displayed in Google SERP. Merged URL Text Indicates URL the target URL is merged with according to Google. Cache Date and Time Date and Time Date and time when the target URL was last cached by Google. Mentions Number Number of the pages from other websites that contain exact match of the target URL according to Google. Retrieved by making ["URL" -site:URL] or ["hostname" -site:hostname] search query depending on selected mode. Number of additional links shown in Google SERP snippet. Indicates whether the website has 'This site may be hacked' message in Google SERP snippet. Number of pages related to the target domain. Retrieved by making [related:hostname] search query to Google. Number of website pages indexed by Bing. Retrieved by making [site:hostname] search query to Bing. Indexation TRUE or FALSE Indicates whether the target URL is indexed by Bing. Merge TRUE or FALSE Indicates whether the target URL is merged with another URL according to Bing. Title of the target displayed in Bing SERP. Description of the target displayed in Bing SERP. Merged URL Text Indicates URL the target URL is merged with according to Bing. Number of website pages indexed by Yahoo. Retrieved by [site:hostname] search query to Yahoo. Indexation TRUE or FALSE Indicates whether the target URL is indexed by Yahoo. Merge TRUE or FALSE Indicates whether the target URL is merged with another URL according to Yahoo. Title of the target displayed in Yahoo SERP. Description of the target displayed in Yahoo SERP. Merged URL Text Indicates URL the target URL is merged with according to Yahoo. Indexation TRUE or FALSE Indicates whether the target URL is indexed by Yandex. Merge TRUE or FALSE Indicates whether the target page is merged with another page according to Yandex. Title Text Title of the page displayed in Yandex SERP. Description Text Description of the page displayed in Yandex SERP. Merged URL "Text Indicates URL the target is merged with according to Yandex. Indexed URLs Number Number of website pages indexed by Yandex. Retrieved by making [host:hostname] search query to Yandex. Address Text Physical address of the organization shown in Yandex SERP snippet. SQI Number The Site Quality Index (SQI) indicates how useful the site is for users according to Yandex. The quality index is based on the size of the site's audience, the degree of user satisfaction with the site, the level of trust that users and Yandex place in this site, and other criteria. IP Text IP address of the host. Country Text Country of the host defined by MaxMind database. Country ISO Code Text Country ISO Code of the host defined by MaxMind database. Continent Text Continent of the host defined by MaxMind database. Creation Date Date and Time Date and time when the domain was created according to whois protocol. Expiration Date Date and Time Date and time when the domain expires according to whois protocol. Availability TRUE or FALSE Indicates whether the target domain is available for purchase according to whois protocol. Emails Text List of unique email addresses retrieved by sending whois query. Root Domain Text Root domain of the target (e.g., example.com) according to whois protocol. Indicates whether the target page is indexed by Wayback Machine. Date when the target was first crawled by the Wayback Machine. Date when the target was last crawled by the Wayback Machine. Last copy of the page that was captured by the Wayback Machine. Number of website HTML pages indexed by Wayback Machine. Shares Number Number of shares of the page via Facebook. Comments Number Number of comments to the page shared via Facebook. Open Graph Title Text Title of the page according to Facebook. Open Graph Description Text Description of the page according to Facebook. Open Graph Updated Time Date and Time Time and date when the page was last indexed by Facebook. Pins Number Number of times the target was pinned via Pinterest. Sign up and get a 14-day FREE trial of Netpeak Spider and Netpeak Checker. No credit card required. Drop us a line if you need more than 50 licenses or want to discuss personal subscription plan. – Netpeak Checker is a desktop tool that allows you to compare websites side-by-side by key SEO parameters. – The free trial grants you full access to all the features of Netpeak Checker for 14 days. Notice that no credit card information is required. How do I start using Netpeak Checker? Create a Netpeak Software Account. Download Netpeak Launcher and install it. 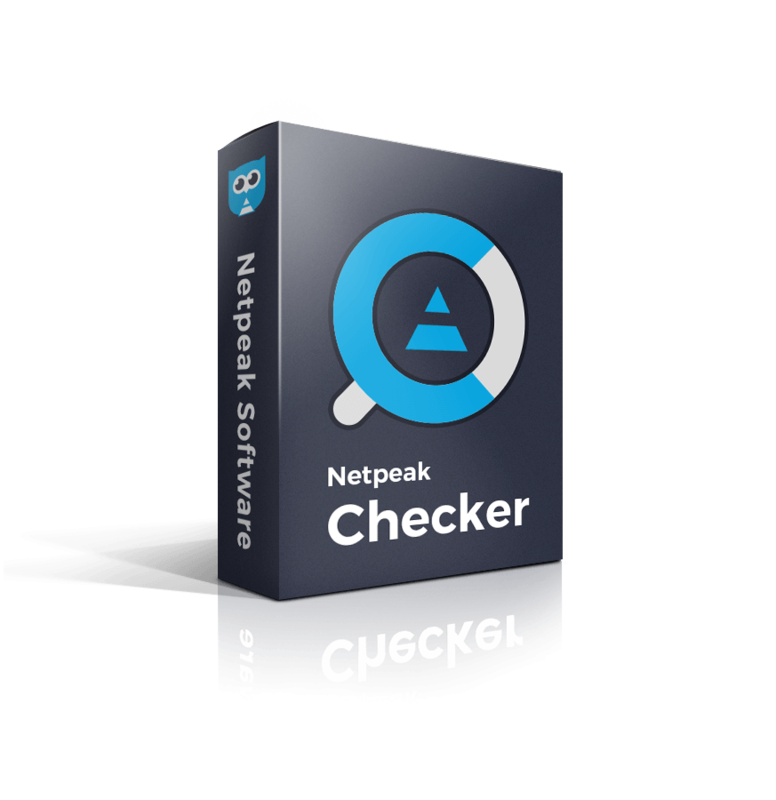 Log in to Netpeak Launcher and install Netpeak Checker. Is it necessary to have a Netpeak Software Account to use Netpeak Checker? – Yes, it is. After a quick registration of a Netpeak Software Account you will acquire easy access to all the Netpeak Software products. This Account will be shared for Netpeak Launcher, knowledge base and User Control Panel at the website. – Netpeak Launcher is a desktop software that helps you manage all Netpeak Software products. You can download it from the User Control Panel or by following this link. Can I use Netpeak Checker on more than one device? – You can use Netpeak Checker on several devices, as long as they are not running at the same time. If you wish to use the software on multiple devices simultaneously, you need to buy the separate licenses. To change or adjust the devices appiled for using Netpeak Checker, please visit ‘Device Management’ section in User Control Panel.